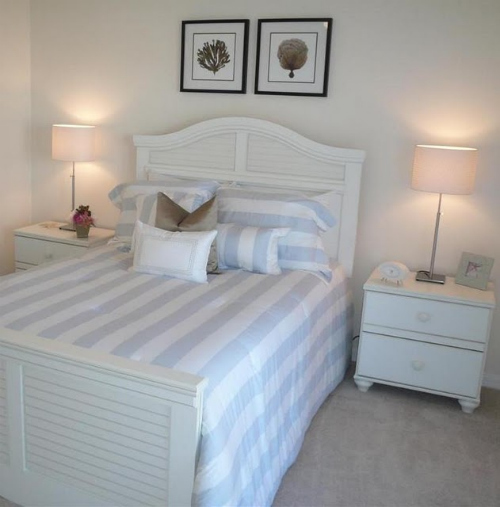 Are you interested in having Karla transform one or more rooms in your home? We offer affordable online interior design services including e-design and e-staging upon request. For the past 9 years Karla has owned and operated Florida Home Staging and Redesign, Inc., a small design company that specializes in creating beautiful + livable spaces for home owners on any budget. She also works with Builders to implement model home design, as well as Realtors and home owners alike in staging and transforming unsold houses into inviting homes that sell quickly and for top dollar. Having recently moved cross-country and now residing in Northern California, she now works as a full-time Designer, staging homes for one of the largest Real Estate Staging companies in the San Francisco Bay Area. Karla has provided countless presentations for Realtors and home owners and has also been featured in various newspapers and online publications. She was honored to speak alongside several HGTV design stars on the celebrity design stage at the Orlando Home Show presenting 'Home Staging Tips for the Serious Seller'. We offer e-design services worldwide that allow you to use as much or as little of your existing furniture and accessories as you like in the process of decorating a space you'll love. 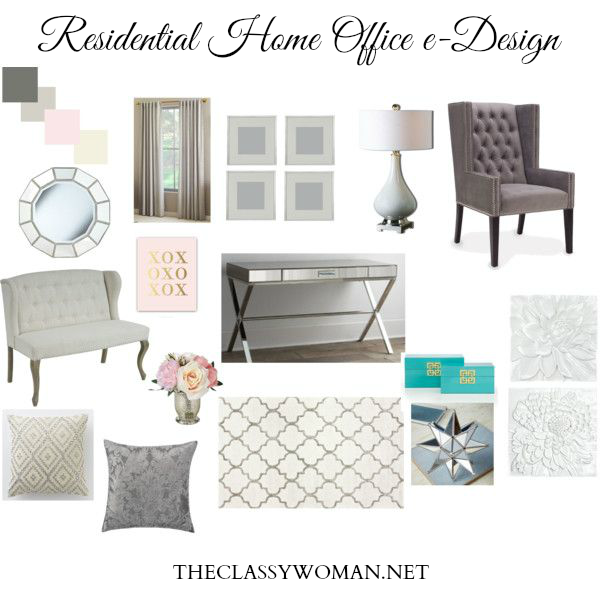 You'll get a full design board including floor plan (when applicable), paint selections, color scheme for your room and details for accessory placement. All exact items will be included in image form as well as a pricing list/online store information so you can easily purchase the items and pull it all together for a gorgeous and defined space that matches your taste and personality. Typical accessory items include but are not limited to window treatments, rugs, lamps, artwork/wall art, toss pillows, unique and interesting accessories, shower curtains, towels, shelving, storage benches or ottomans, counter top or dresser-top details. 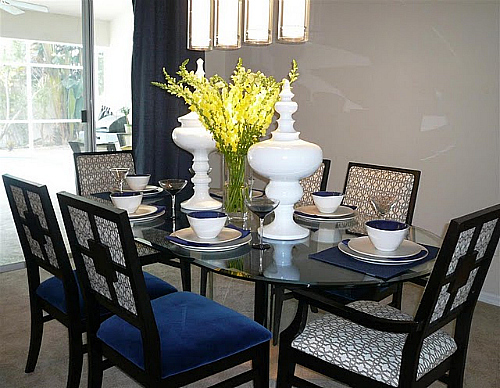 *combined living/dining room areas or great rooms are treated as 2 separate spaces. These larger/over sized rooms are $350 as they require more time and resources. If you don't require a full design but want an expert opinion on narrowing down a particular paint color selection, a color scheme, or new furniture for your space, etc., we will be happy to answer those questions for you. 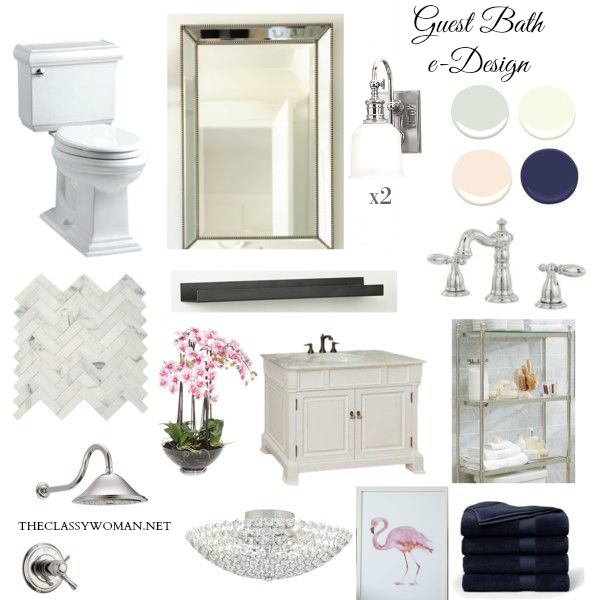 Are you frustrated by an overwhelming amount of color choices? 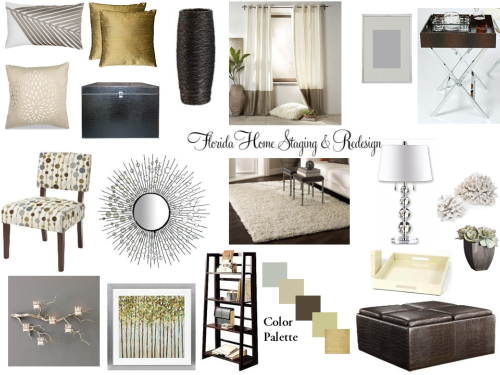 Are you having difficulty arranging the perfect color palette? Send us your images and we will select the paint colors for your entire space and will have paint swatches mailed to you. If you simply require some suggestions on your current space and aren’t ready to commit to our full e-design process, send us your photos of the room and we'll send you a list of suggestions that will help improve what you already own. Are you bored with your current furniture arrangement? Does your room lack a sense of purpose? Maybe you are having trouble figuring out how to create the best flow in a room with the furniture you have. E-mail us your measurements and we will create a floor plan for your space that works. Has your home been on the market for a while with little or no offers? Are you preparing to put your house up for sale? 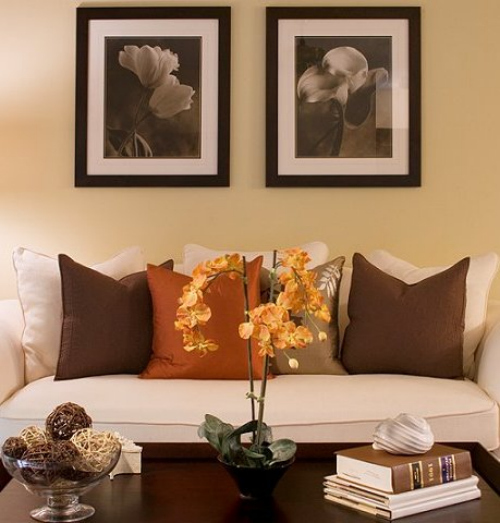 As a Home Staging Specialist with a fresh pair of eyes viewing the photos of your home, together we can turn your personalized house into a home that any buyer could imagine themselves living in. 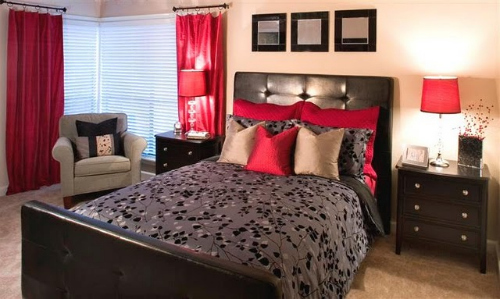 We can make recommendations for color scheme, paint color selections, furniture arrangement, accessory placement, floor plan design, de-cluttering and de-personalizing. This process will allow the buyer to see your home's best attributes and not all of your 'stuff'. We also make recommendations on downplaying less-desirable aspects of your home where and if necessary. 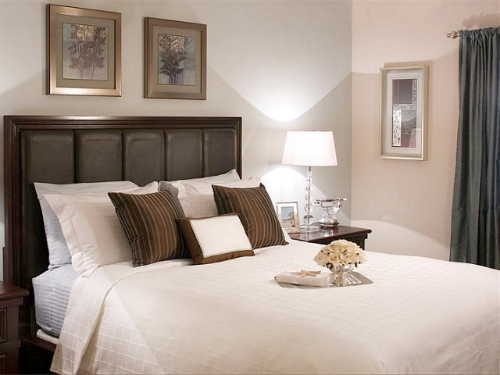 The rate is $100 per room and outdoor spaces are treated as a separate room. 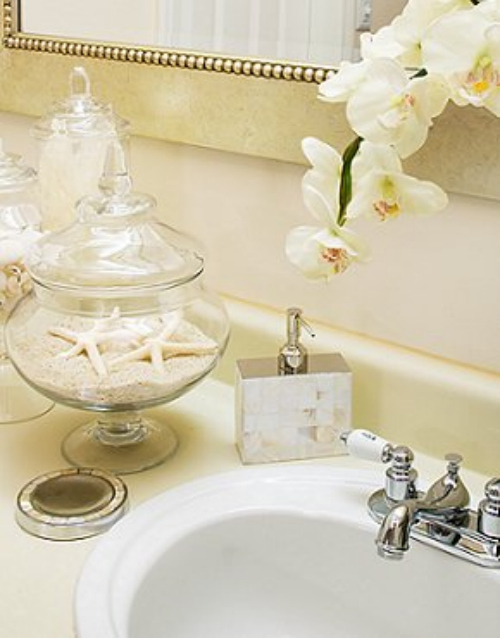 Small powder baths, entryways and hall areas will be grouped together as ONE room since they are smaller spaces to make them cost effective. *NOTE: If you purchase any a la carte design service and decide to upgrade to a full e-decorating service for the same room, that amount will be applied as a credit to the new service (subtracted from your total). Simply e-mail me if you're interested in upgrading and I'll issue you a custom Paypal invoice with the credit applied. May I just tell you that you are my personal Candice Olson! But you're better than her!!!!!!!!!!!!! I feel lucky to have found you and that you are working with me on these projects. I am always RAVING about you and showing friends your blog! I just wanted to let you know that I LOVE working with you. I really enjoyed meeting with you for the staging consultation and look forward to working with you again. You seem very knowledgeable and enthusiastic about your work. I feel like I've learned SO much and can't wait to share your company with my company! My husband and I already made some changes to our home, that you recommended, and are still working on the other items. What a difference! Thank you very much, Karla! You're wonderful! Karla, you've done an amazing job in every room of my Disney vacation home rental. I uploaded the photos a week ago and am overwhelmed by the response I'm getting! The house is already fully booked for two solid months thanks to your amazing decorating skills. I appreciated you staying within my budget and managing the entire project after I flew back home to be with my family. You were a pleasure to work with and I will get in touch with you again to work on our next rental home investment. 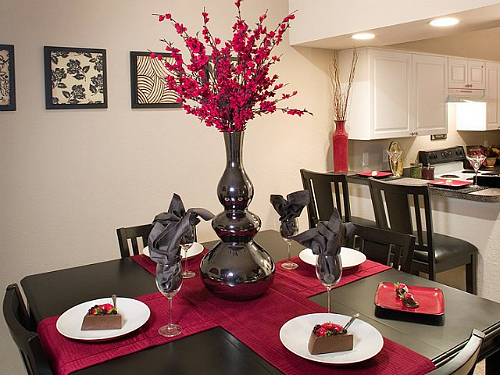 Our home sat for 6 months with no offers before we decided to call Florida Home Staging for help. The day after it was Staged by Karla, it sold for 98% of our $350,000 asking price! Karla was wonderful to work with and we would highly recommend her to anyone! She is friendly, professional, knowledgeable, and has a real eye for detail. She really knows how to dress up a room! We’ve already asked her to decorate our new home once we get settled in and we can’t wait. We received many compliments on our home and were happy to pass out her number. All I can say is “Wow!” Thank you for making the staging such a positive experience! We can tell you love what you do. In order to begin, you'll need to pay the amount listed for your service via Paypal. Next you'll want to snap several photos of your room from multiple angles and e-mail them to us. Be sure to share some links to images you love and why you are drawn to them. Alternatively you can scan and email us some magazine tear sheets that represent your style. If you don't know what your style is we will work together with you to define it. Also include the budget for your room. We specialize in working within all budgets and are happy to accommodate you and share with you how to get the most (and where to best spend your money) even on a small budget. The design plan will be sent to you via e-mail and if you want a specific item re-selected such as a secondary design option for toss pillows or a piece of furniture, let us know and we will send you that revision. *The typical turnaround time is 7-10 days unless there is a long waiting list. You'll be notified at the time of your purchase or inquiry what the completion date will be. 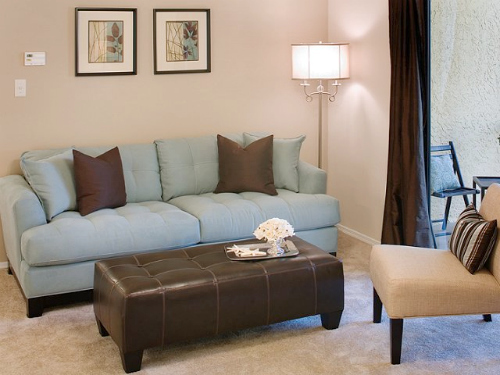 Click the portfolio link to see some of our staging and re-design transformations. 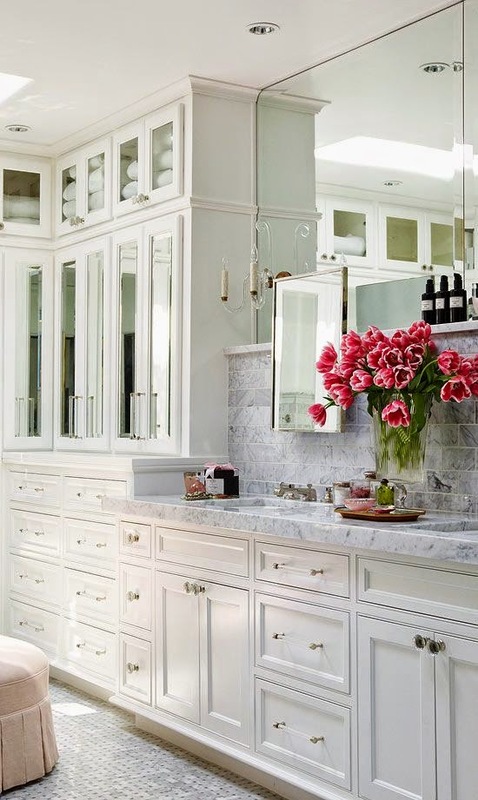 Small changes can make a dramatic difference in the way you feel in and about your home.